Government is interested in selling building to group that will close Marriott for 14 months and commissioners are asking for a disclaimer to sign off the deal. 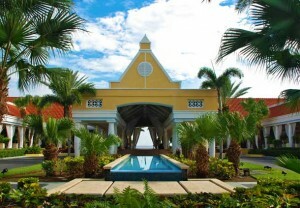 WILLEMSTAD - The faction of the opposition party in parliament, MFK wants more clarity about the sale of the Rif Resort, known as the Marriott Hotel and the disclaimer which is required here from the government. The group has asked their questions to the Minister of Finance, Dr. José Jardim. An advisory committee has been installed by National Decree for the sale of the loss-making Rif Resort. The MFK wants to know why the members of the supervisory board of the Rif Resort, the owners of the Marriott Hotel, don’t want to make a decision on the sale of the buildings unless the government provides them with a disclaimer for the transaction. The MFK wants the parliament to receive a copy of the property valuation report made by Ackerman-Ziff Real Estate Group and a summary of the debt. Furthermore, the faction wants to know about the job security of the more than 200 employees of the Marriott Hotel. The hotel will soon be sold and needs to close temporarily due to renovations.